Lenovo’s ThinkPad line is one of the most iconic notebook families around. From the ThinkPad logo with the red dot on the lid, to the red TrackPoint nubbin, to the typical ThinkPad keyboard layout, you’d have no problem picking one out of a lineup. And they remain just as well-built as always, as evidenced by the latest clamshell member, the ThinkPad X1 Carbon. Apple’s MacBook Pro is also a recognizable notebook line that’s maintained a consistent design aesthetic over the years. Today’s model has the same understated elegance as always and confirms Apple’s reputation for rock-solid build quality. So, which one of these premium and highly familiar notebooks is worth your investment? We pit the Lenovo ThinkPad X1 Carbon against the MacBook Pro 13 to find out. Apple updated the MacBook Pro line in late 2016, utilizing essentially the same silver aluminum chassis and elegant but conservative design. It’s thinner than ever and its display is more modern with smaller bezels. Thus, the MacBook Pro still looks good in any environment, and you’ll be happy with Apple’s usual attention to detail, overall fit and finish, and granite-like solidity. The sixth-generation ThinkPad X1 Carbon has also undergone some relatively subtle design changes. It’s still rock-solid in hand, with a carbon material finish that provides a soft touch and with zero flex throughout the chassis. It’s also the usual black ThinkPad aesthetic that’s aggressively businesslike, with updated branding that’s subtler but still recognizable. Both notebooks have iconic designs, and both sport build qualities that are worthy of their premium pricing. The ThinkPad gets some extra points, though, for fitting a 14-inch display into a chassis that’s nearly the same size and thickness as the MacBook Pro 13’s while being almost half a pound lighter. Ultimately though, this one’s going to come down to pure aesthetic taste because when it comes to the design essentials, they’re evenly matched. The MacBook Pro 13 received its last update in 2017, gaining 7th-gen dual-core Intel Core processors with stepped-up Iris Plus GPUs for slightly better graphics performance. The ThinkPad X1 Carbon, however, enjoys the latest and greatest eighth-generation quad-core Intel Core processors that are significantly faster when working hard and more efficient when running less demanding tasks. Both manufacturers utilize very fast PCIe NVME solid-state drives (SSDs) in their premium notebooks, and so they both enjoy speedy storage performance. You won’t find large files and demanding database applications to slow them down. The ThinkPad X1 Carbon doesn’t sport the slightly faster Intel Iris graphics, but its processor performance is much better than the MacBook Pro’s last generation CPUs can attain. Lenovo wins this round as well. When it comes to input options, people tend to either love or hate what Apple has done with the MacBook Pro in deference to ultimate thinness. There was a time, for example, when MacBook keyboards were considered exemplars of typing perfection. Today, Apple has opted for a more modern “Butterfly” key mechanism that’s very clicky (and loud) but also suffers from very short travel. The touchpad is huge, which is a plus, and famously has the best touchpad you’ll find on a laptop. Finally, you can get two versions of the MacBook Pro 13. There’s one with the OLED Touch Bar strip that runs along the top of the keyboard and adds some task-specific touch input, and then there’s one without it. If you opt for the Touch Bar version, you’ll also gain a Touch ID fingerprint scanner that lets you log in without typing a password. Lenovo’s ThinkPad X1 Carbon, on the other hand, enjoys the always-excellent ThinkPad keyboard with superior travel, a precise tactile feel, and an overall experience that welcomes fast, accurate typing. It also offers the TrackPoint nubbin sitting in the middle of the keyboard for an old-school input option that longtime users will appreciate. The extra TrackPoint buttons do encroach on the standard touchpad’s space, however, providing a smaller space for swiping and gestures than we like. Nevertheless, it’s still precise and enjoys Microsoft Precision touchpad support. You can also opt for a touch display for some added convenience, and Windows 10 Hello password-less login is supported by an optional infrared camera and a fingerprint scanner. There’s even a physical privacy cover for the webcam if you want to ensure your notebook isn’t spying on you. As we said in the beginning of this category, you’ll likely either love or hate Apple’s input options. We think most people will appreciate Lenovo’s more traditional approach, though, and so we’re assigning the win to the ThinkPad. Apple’s latest MacBook design drops any pretense at supporting legacy peripherals, offering USB-C ports with Thunderbolt 3 support as the only option. On the MacBook Pro 13 with Touch Bar, you’ll get four ports, and on the version without the Touch Bar you’ll get two. Add in a 3.5mm combo audio port and the usual 802.11ac Wi-Fi and Bluetooth radios, and that’s the extent of the MacBook Pro’s connectivity. The ThinkPad X1 Carbon is an entirely different beast when it comes to hooking up. It comes with two USB-A 3.1 ports for legacy add-ons, two USB-C ports with Thunderbolt 3, a full-size HDMI port, and a microSD card reader. Whew, that’s a lot of ports. The 3.5mm combo audio jack joins 802.11ac and Bluetooth to round out a very well-connected notebook indeed. We really, really appreciate machines that combine legacy and futuristic support, and the ThinkPad X1 Carbon offers that in spades. Good for Lenovo, and it wins this category handily. Apple’s MacBook Pro line is renowned for offering some of the best displays around. The MacBook Pro 13 is no different, offering a 13.3-inch display with 2,560 x 1,600 resolution (227 PPI) that’s extremely bright, has a wide color gamut with excellent accuracy, and strong contrast. It’s not a 4K display, but it’s sharp enough and makes a great platform for anyone who works with photos and video. Lenovo offers a few display options with the ThinkPad X1 Carbon. The entry-level model is a Full HD (1,920 x 1,080 or 157 PPI) panel that offers better-than-average color gamut and accuracy and good contrast. Only its relatively low brightness holds it back, although its anti-glare coating helps it overcome bright ambient lighting. There’s also a WQHD (2,560 x 1,440 or 210 PPI) display option for some increased sharpness, and at the high end, you can opt for an extremely bright (500 nit) panel that supports Dolby Vision high-dynamic range (HDR). We like the sound of that HDR-enabled WQHD display, given its promise of incredibly bright and dynamic colors, and we appreciate Lenovo’s wide range of options. However, the MacBook Pro 13 out of the box offers a superior display that’s proven to be the best option for creative types. We’ll give Apple the win here, with some props to the ThinkPad’s greater display diversity. Regarding weight and thickness, the MacBook Pro 13 is no longer particularly special at just over three pounds and 0.59 inches. And its bezels are small, but not the smallest all around, resulting in a chassis that’s diminutive but not especially so. It’s a comfortable machine for tossing in a backpack, but it’s no longer an industry leader. Also, Apple actually decreased battery life to make the machine as thin as possible — an unfortunate compromise. The Touch Bar version has the smallest battery capacity at 49.2 watt-hours, in spite of adding in an OLED strip that needs some power. The non-Touch Bar version has a more impressive 54 watt-hours. The MacBook Pro 13 offers good but no longer superior battery life. While the ThinkPad X1 Carbon has a larger display, it’s only slightly larger overall than the MacBook Pro 13. It’s just slightly thicker at 0.62 inches. However, it’s also a half-pound lighter, meaning that it’s going to weigh you down less as you’re trekking from place to place. The Lenovo also sports a 57 watt-hour battery, which when combined with the 14-inch Full HD display and efficient eighth-generation Intel Core processors promises solid battery life. And in fact, it was decent enough in our testing, running our more intensive tests at a competitive rate. Oddly, it fell behind in our video looping test, which is unusual for the latest class of machines. Overall, both of these machines are well-equipped to be taken on the road. They aren’t the lightest or thinnest laptops, nor ones with the best battery life. However, when you pit the two of them up against each other, the different pros and cons equal out pretty squarely. The MacBook Pro 13 is a distinctly premium notebook. The Touch Bar version starts at $1,800 and comes with a Core i5 processor, 8GB of RAM, a 256GB SSD. Pricing goes all the way up to $2,900, which nets you a Core i7 processor, 16GB of RAM, and a 1TB SSD. The non-Touch Bar version is a less expensive option (and the one we prefer), starting at $1,300 for a Core i5, 8GB of RAM, and a 128GB SSD. The ThinkPad X1 Carbon is also priced at a premium, starting at $1,520 for a Core i5, 8GB of RAM, a 256GB SSD, and Full HD display. That runs all the way up to $2,580 for a Core i7, 16GB of RAM, a 1TB SSD, and that lust-worthy WQHD display with Dolby Vision HDR. Neither of these machines is easy on the wallet. The MacBook Pro 13 starts out at a lower price, but that’s if you give up the Touch Bar and go with less storage. When you compare identical configurations between the two, the MacBook Pro 13 comes out to be $20 cheaper, with one significant difference: CPU. The current MacBook Pro 13 features a 7th-gen processor, while the new ThinkPad has an 8th-gen processor, which results in some significant performance differences. On the high-end side of things, the ThinkPad X1 Carbon still wins with the option for that vivid HDR display. Lenovo gets the nod here. Apple will likely update the MacBook Pro line sometime in 2018, at least adding in the latest generation of processors. In the meantime, the current non-Touch Bar MacBook Pro 13 is a great machine for MacOS users and those who’ve bought into the Apple ecosystem. Unlike some Windows laptops, the ThinkPad X1 Carbon fares well in the places where the MacBook traditionally excels, such as in durability, design, and battery life. The ThinkPad X1 Carbon probably won’t win over a lot of Mac fans, but overall, Lenovo has made upgrades in all the best places, without wasting energy with something like a Touch Bar. We think you’ll find your money better spent on Lenovo than Apple in this comparison. Can Toshiba’s dynaEdge AR glasses succeed where others have failed? A bold statement, but an interesting comparison. The dynaEdge isn’t the first augmented reality headset – we all remember Google Glass – but it is the first wearable Windows 10 PC to fit in a pair of glasses. in a pair of glasses. The dynaEdge combines a head-mounted display screen with a wearable PC about the size of a transistor radio. 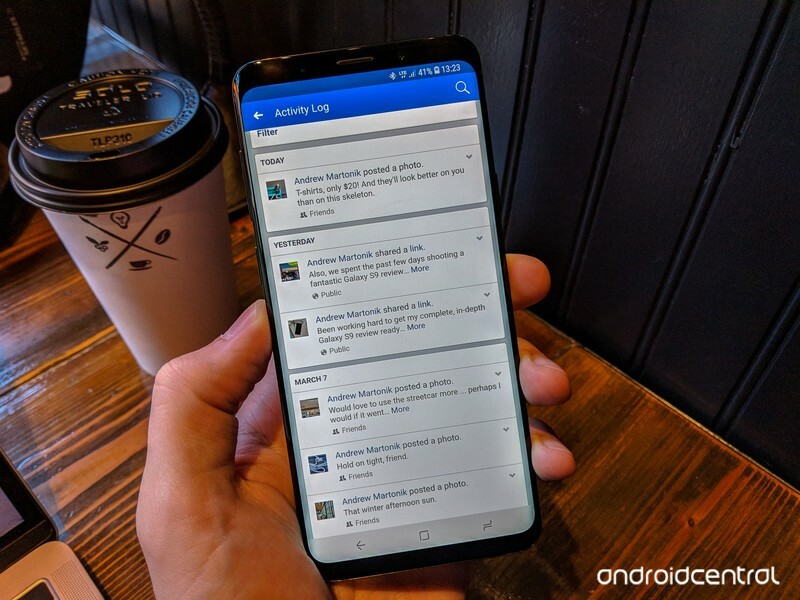 Think of the PC instead as three Samsung Galaxy Note 8’s glued together. That box houses a full Windows 10 computer, including a 6th Gen Intel Core M processor, 16GB of RAM, a removable battery, solid state storage, a finger print reader, and so on. It connects to the wearable Toshiba AR100 Head Mounted Display, a 3-ounce device with a micro-screen like that found in Google Glass. Thanks to an ingenious clip, it can be worn on either the left or right side of eyeglasses, protective eyewear, or anything else you’d strap over your face. Toshiba envisions the product in a wealth of applications, from field work, to assistive tech, to assembly lines, to warehousing – basically, anywhere someone needs a feed of information, and doesn’t want to schlep around a binder of notes and instructions. Because it’s a full Windows 10 PC, it can stream video with a few simple clicks. “Rather than an engineer assessing whether a plane is airworthy by sending pictures, someone can be looking at a plane and engineers can assess it live,” Carl told Digital Trends. Imagine the utility of having schematics at your fingertips when working in a clean room, or under the hood of a car. We tested out the dynaEdge briefly, and thought it felt extremely durable. The arm is segmented to allow for multiple adjustments and designed to stay put when positioned. The screen was easily legible, even in bright conditions, and we watched video with only the tiniest lag. A speaker and microphone allowed us to carry on conversations as readily as on a phone. The dynaEdge has swipe and tap functionality, but much of the navigation takes place on the belt-mounted PC. That component has navigation buttons, a power button, and more. […] wearable PCs, combined with smart glasses, will take on-the-job productivity to a new dimension. Toshiba is hardly the first company to go after the wearable, headmounted display market. Besides Google (and the knockoffs from Chinese companies like AltoTech), which is pushing back into the Enterprise as of last fall, there’s Epson, which has been making Moverio augmented reality glasses for years. Its latest, the Moverio BT-300, isn’t something you’d wear around all day, but the design keeps improving and there’s clearly a market for it. Why does Toshiba think it can succeed when other companies have stumbled? Simons can only smile. “We waited to launch, we talked to companies about exactly what they wanted,” he said. It seems clear that big business has already agreed about the utility of the product. Time will tell. Toshiba expects to sell the dynaEdge in the last quarter of 2018. You may have chilled with your friends in person a few years ago, but today, hanging out is something you can do with your friends … in solitude. Meet Hangtime, a new mobile gaming platform that will allow its users to play live trivia games and quizzes while interacting with other human players, all without ever meeting those players in person. During each game, you can compete to win cash and other prizes while talking to and interacting with friends in either private or public “Hangs,” or digital rooms. Every day at 2 a.m. and 6 p.m. ET, Hangtime provides its users with trivia and quiz shows. Think of it as the 21st-century answer to Wheel of Fortune or Jeopardy! Only instead of watching contestants compete on television, you can take part in the action yourself. As it stands, the app features three game shows: Pop Quiz and Perfectly Adequate Games, both hosted by Will and Erinn of Perfectly Adequate Films, and The Good Game Show, hosted by Jon Hudson, a local New York City-based comedian. And for an even more social experience, you can tune into live pre- and post-game shows hosted by live animated characters who promise to engage with you and help organize your private hangs. Hangtime relies on Kiswe’s patented cloud video technology, which promises live mobile video experiences for users across the country. In addition, you can see a live scoreboard to follow how you’re stacking up against other contestants during a game, as well as a comprehensive leaderboard that will allow you to compete tournament-style with your friends throughout the week. Of course, there are chatrooms that encourage chatting, collaborating, and competing with other competitors or your close friends, and Hangtime says it will continue to add more game formats as it develops. The app is available for download today on iOS or Android. You may or may not be excited about the idea of a phone-less future, but it looks like it’s coming. Alexa users can use Amazon’s voice assistant to place voice or video calls on their iOS, Fire, or Android tablets from today. Amazon had previously introduced the ability to make voice and video calls from Amazon Echos in May of last year, but that functionality was restricted to only calling other Echo speakers or smartphones with the Alexa app installed. Starting from today, March 12, Amazon has made it possible to use Alexa to place or receive a voice or video call on your tablet, too, expanding your options for staying in touch. Getting going is as easy as downloading the Alexa app for Android or iOS and entering your Amazon log-in details. After that, you’ll be prompted to allow Alexa access to your contacts and to verify your phone number via a text message. If you’re on a Fire tablet, Alexa should already be installed and should be available for calling. Fire HD 10 tablet users can ask Alexa to make calls completely hands-free, but for other Fire tablets (Fire 7, HD 8, or older generations), you’ll likely have to hit the home button first before you can ask Alexa to make the call. 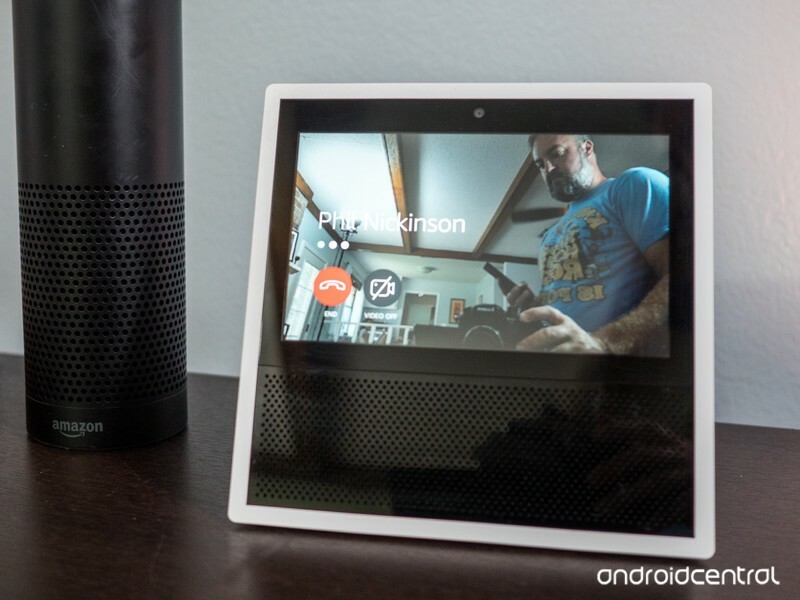 If you want to video chat you’ll have to be sure that your intended contact has an Echo device with a screen — an Echo Show or Echo Spot — or you’ll only be able to make voice calls. However, you can also set up opt-in “Drop In” support for instant video or voice if you want an instant connection with a loved one or friend. Landline support is also available, and you can ask Alexa to call a specific landline number, but both yourself and your recipient will have to be using an Echo Connect to receive the call. Similarly, users will only be able to place a call to the emergency services if they have an Echo Connect. It’s still a little limited. You’re restricted to only being able to call Amazon Echo devices or your contacts who also have the Alexa app — so it’s only Alexa-to-Alexa for now — and it’s currently only available to users in Canada and the U.S.. You’ll also need a stand-alone Echo device to call landline numbers. However, the calls are sent over Wi-Fi, and so are completely free, and since getting set up is as simple as installing an app, it’s a great way to easily stay in touch. Keeping up with security updates for our various connected devices could be a full-time job. Whether it’s our smartphones, our PCs, our home assistants, or other devices, seemingly not a day goes by that we don’t hear about one security vulnerability or another. This time around, it’s the most central device in our networks, the router, that’s under attack. Kaspersky recently reported on a new, fairly sophisticated, attack on MikroTik routers that its researchers described during the company’s Security Analyst Summit. Dubbed Slingshot, the vulnerability is a rather tricky piece of malware that can collect all kinds of information from PCs that are attacked via a compromised router — including screenshots, passwords, keyboard data, and other information. While Kaspersky notified MikroTik of the issue and that company has already resolved the vulnerability, Kaspersky believes that other routers could still be affected. What makes Slingshot so potentially dangerous is that it piggybacks on legitimate router downloads and file executions — in this case, DLL files — which are used to infect PCs with kernel-mode malware that runs on affected machines without causing crashes. This malware, dubbed Cahnadr, joins with another piece called GollumApp that gives attackers “complete control” over a PC. Digging into the details of the vulnerability, it’s obvious that the malware is particularly sophisticated, so much so that Kaspersky’s researchers suspect it’s the work of a group that’s highly organized, professional, and indeed likely to be state-sponsored. Given the kind of information that the malware seeks out, it’s also likely that it’s designed to perform cyber-espionage, and given that it can access the system at a very low level it’s capable of stealing any kind of information that exists on an infected PC. There’s nothing we can do in response to attacks like Slingshot other than the single most important step: make sure that all of our devices are fully updated. Installing all OS and hardware updates is more important than ever, and that’s true not just for the most visible devices we use every day, like our smartphones and PCs, but also those hidden devices like routers that can serve as attack vectors for every other device on our networks. 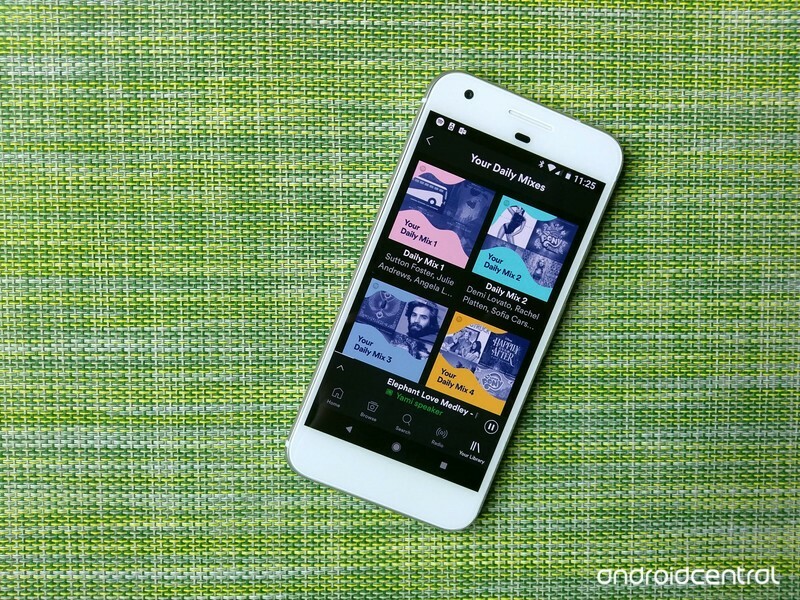 Spotify has the solution to your music curation woes, and they made it just for you. Finding something to listen to can be a tricky proposition for any music lover. Do I want something new? Do I want something familiar? Do I want something fun? Well, Spotify is known far and wide for their algorithmic prowess, but the best example of it isn’t the Discover Weekly or the year-end statistics. No, siree, the best use of Spotify’s number-crunching genius is a little section in Your Library called Just For You. 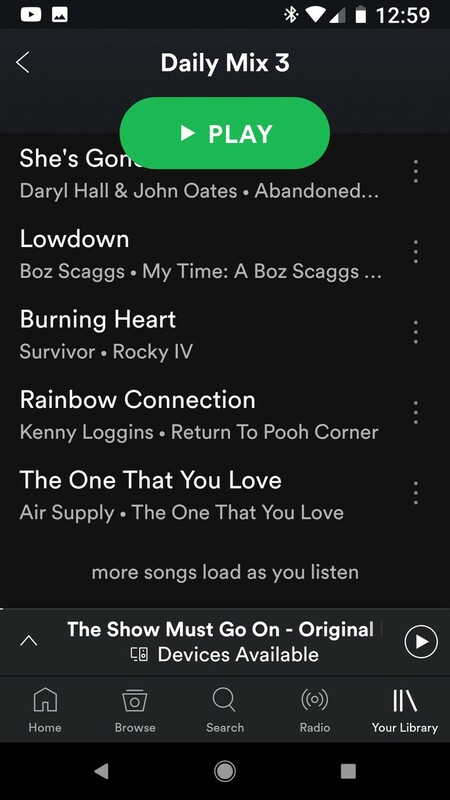 When I began my affair with Spotify, everyone raved to me about Discover Weekly and Spotify’s many playlists, but I’m a girl of particular tastes. When Discover Weekly fell flat, I stuck to my traditional playlists and a few favored albums. However, days into my Spotify experience, something wonderful happened: my Just For You section in Spotify began populating with Daily Mixes. 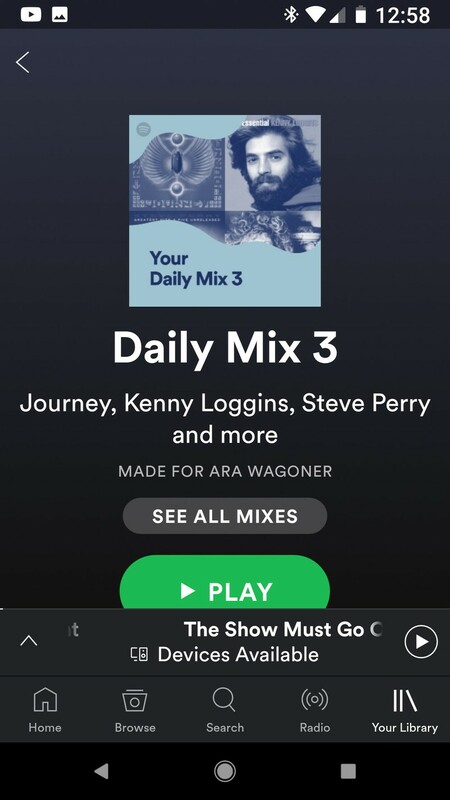 Spotify’s Daily Mixes can pick up on your listening habits, the trends around the music you listen to, and extrapolate them into a never-ending radio station that’s — well — just for you. As your history with Spotify grows, your Daily Mixes can evolve and expand, too. You can refine them just like you would any other radio station by hearting and blockin songs as you go, and since the Daily Mixes adjust daily to reflect the songs you’ve listened to in the previous 24 hours, that means that while Discover Weekly will give you new music once a week, Daily Mixes can give you new music every day based on what you listened to yesterday. The mixes aren’t completely infallible. 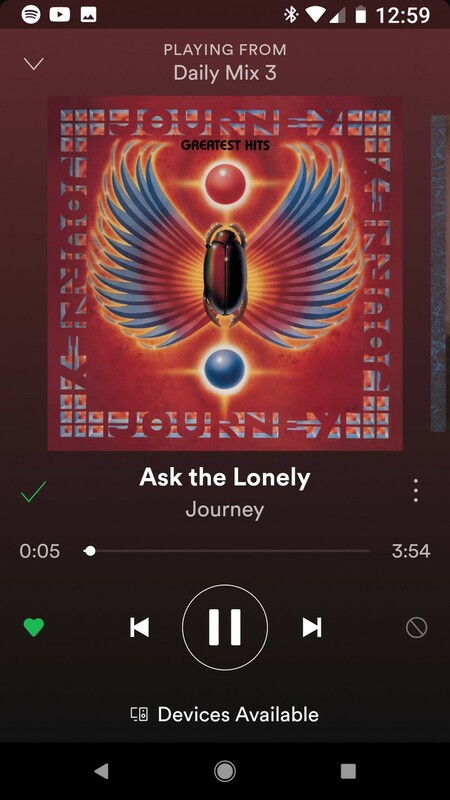 Like any other algorithm on Spotify, they can miss, and your Daily Mixes can overlap, especially if you listen to a few particular styles of music constantly. It also seems to be persistent when trying to add some albums or artists to certain genre mixes, but as you listen and as you rate, you make your mixes better. I’m a playlist junkie, but my Daily Mixes are rapidly becoming my go-to when the inevitable question arises: what do I want to listen to today? 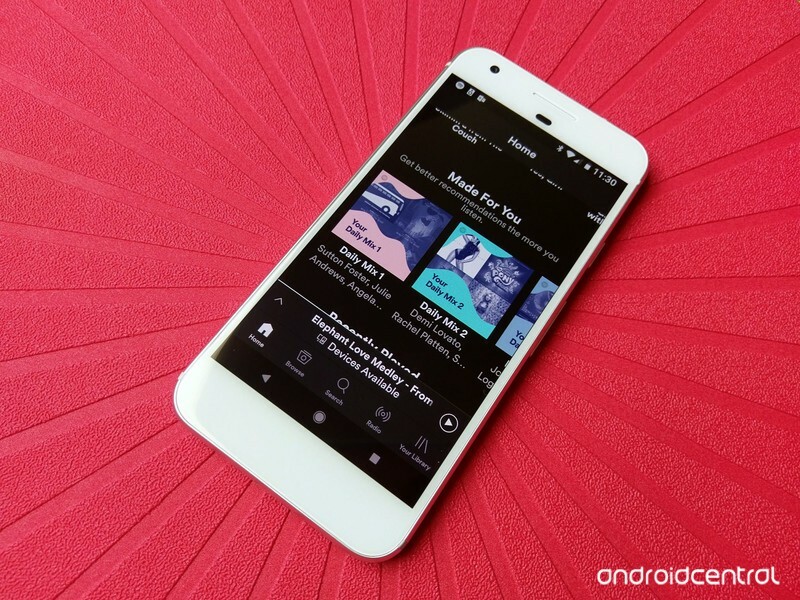 Do Daily Mixes hit the spot for you as you use Spotify? How many Daily Mixes do you have? Tell us in the comments! Here’s how to keep your data safe from being brokered and sold. Facebook knows a lot about you. I mean, a lot. If you’ve ever been creeped out by a scarily on-point ad while visiting Facebook, that’s why. But some of you might wonder where Facebook gets its data. The answer is simple: data brokers. A data broker collects your information from various sources and depending on the broker in question, this information could come from online, offline, or both. Whenever you make a purchase online or utilize your grocery store’s loyalty card, the data on your purchases is collected by at least one company. Facebook buys this data and, letting advertisers use it to more specifically target ads towards you. Though Facebook says that the data brokers anonymize what they collect, the details can still be matched against your Facebook profile, building for Facebook and its advertisers a complete picture of who you are. There’s some good news here, though. You can opt-out of this sort of data collection at a lot of data brokers including the companies with which Facebook has partnered. The bad news is that these companies are Facebook’s partners for now. The social network sometimes rotates between different data providers, meaning that if another company starts providing its data to Facebook, you’ll probably want to opt-out of them, as well. In your quest to wrench your data from the grips of these data brokers, know that it will take awhile. One thing in common with all of these companies is that you’ll need to specify exactly what you want to be left out of any data collection, including your name, phone number, and any email addresses. Here’s how to suppress your data or prevent tracking at the Facebook data partners that provide such tools. In addition to options for opting out of data collection by phone or mail, Acxiom provides an online form that you can fill out in order to prevent your data from being collected. Note that this opt-out form covers only one identity at a time. Head to https://isapps.acxiom.com/optout/optout.aspx in your browser or choice. Click the checkboxes under the type of information that you want to remove (mailing addresses, phone numbers, and email addresses) from Acxiom’s data tracking under Acxiom Corporations’s Online Opt-Out. Choose who is the subject of this data removal: yourself, someone over whom you have guardianship, or a deceased family member. Click the green + sign on the box that says Full Names. Add your name to the fields presented to you that you want to be removed from Acxiom’s data tracking. Click Add to complete adding the name to the opt-out list. Repeat steps 4-6 to add more names to the list, including nicknames, former names, and married names. This list, like the other three, accepts up to 10 entries. Click the green + sign on the box that says Phone numbers. Add a phone number that you want to be removed from tracking. Click Add to add the phone number to your opt-out list. Repeat steps 8-10 to add more numbers to your list. Click the green + sign on the box that says Email Addresses. Add an email address that you want to be removed from tracking. Click Add to add the email address to your opt-out list. Click the green + sign on the box that says Mailing Addresses. Add a mailing address that you want to be removed from tracking. Click Add to add the mailing address to your opt-out list. Repeat steps 15-17 to add more mailing addresses to your list. Enter the email address to which you’d like Acxiom to send your opt-out confirmation. Click Submit. Acxiom will send you an email with a link you need to complete your opt-out request. Click the link in the email from Acxiom. Click Submit on the confirmation page. The data you submitted on Axiom’s forms should now be removed from Acxiom’s marketing packages. Contacting Epsilon to opt-out of its databases is all about direct mail. Epsilon doesn’t actually own anything like email data, so all it can do is stop providing your name and mailing address to clients. In order to opt-out of mail from Epsilon clients, you’ll need to send an opt-out request to optout@epsilon.com and provide your full name and address for the opt-out procedure. On each of these pages, there will be a link labeled “Click here” that you can click to opt-out of the tracking performed for these services. Unfortunately, all this opt-out process does is embed a cookie in your browser so that Experian’s trackers around the web knows not to track you. This means that the opt-out is only for activity performed in your current browser on your current computer. If you want Experian to suppress the information that it has collected on you and continues to collect across its direct mail, telemarketing, and online targeted advertising services, you’ll need to send an email containing all of the relevant information that you want suppressed to optout@experian.com. If you’re looking to opt out of Experian’s email marketing databases, you’ll need to send an email from the address you want to opt out to unsubscribeall@experian.com, which will remove you from the company’s permission-based email database used by Experian and its partners. Finally, opt out of pre-approved offers like credit cards and insurance mailing lists by calling 1-888-567-8688. Like Experian, Oracle offers an opt-out cookie for its Internet Based Advertising product. This will prevent Oracle tools from tracking your activity in your current browser on your current machine. Here’s how to use it. Head to Oracle’s Opt-Out Tool website. Click the big, orange Opt-Out button. Head to Oracle’s offline opt-out website. Fill out the available form with your name, address, and email address. Quantium, compared to the rest of these companies, makes it fairly easy to opt-out of having your information shared with the company’s partners, including Facebook. It provides a number of links that let you opt-out of being targeted by a Quantium partner’s advertisers using Quantium-provided data. Click Confirm under Facebook Targeted Advertising. Like other services, this opt-out only applies to your current browser and computer, so you’ll need to opt out again if and when you get a new machine or start using a new browser. Like some of the others, KBM offers a cookie-based opt-out solution for your current web browser. Follow these steps to activate it. Head over to the KBM Group Interactive Opt-Out website. Click the click here button on the line that begins. “To complete the opt-out process,”. If the opt-out it successful, you’ll be taken to a screen that says so. These are by no means the only data brokers out there. Data collection and brokerage is a massive industry. If you’d like to try and opt out of data collection by more brokers, check out this list of companies, which also features links to their opt-out tools or instructions. Keep in mind that this list is a few years old, so some of its information might be out of date. But it’s a good resource for getting started. If all of this seems a bit confusing, that’s probably because it’s supposed to. These companies really don’t want you opting out of their data collection because that’s how they make money. The important thing is to keep slogging through it. Something to be aware of as you complete these processes is that your data won’t actually be removed from the databases these companies keep. They’ll suppress it, and not send it to their marketing partners like Facebook, but they’ll hang on to it to make sure that it a piece of your data hits their database again, it stays out of their marketing services. Also yes, it does seem counterintuitive that getting these companies to suppress information they collect about you often involves sending them a lot of information about you. If you have any other questions about stopping data brokers from selling the data that they’ve collected on you, let us know in the comments. Now Amazon is bringing these features over to tablets, ranging from its own Fire line to Android and iOS tablets to reach as many users as possible. You can call your friend’s Echo Spot from your Galaxy Tab S3, or shoot a message to their Echo Show from your iPad. It even works with Amazon’s Drop In feature, which lets you take control of another Echo device to use as an intercom. As far as the setup process, it’s actually really simple. Just download the Alexa app on your tablet, verify your phone number, import your contacts list, and you’re free to start making calls and sending messages right away. If you don’t already have an Alexa-capable device, now’s a good time to pick one up — the Echo and Echo Dot are both currently on sale! Sit back, relax, and let it clean! 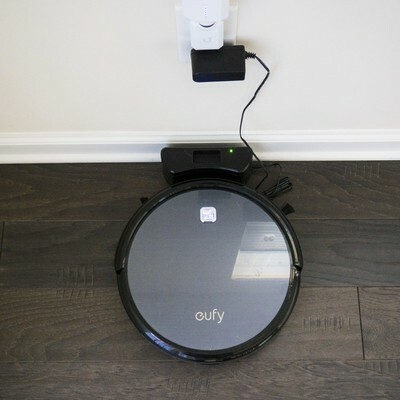 The popular Eufy RoboVac 11+ is down to $179.99 at Amazon. This model has sold pretty steadily at the $250 mark since its release, and it’s even jumped as high as $384.99 before. It offers 100 minutes of constant, powerful suction, has a wide rolling brush to clean the floors well, and comes with a remote to help you control it. Odds are this won’t last long at this price, so don’t miss out! We’ve written quite a lot about the Honor View 10, but nearly every article ends with the same frustrating conclusion: this would be a great phone to buy … if you could. Since its announcement in December of last year, the View 10 has been continually pushed back and out of the spotlight, but months later we finally have an official release date — and U.S. pricing. Shipping out on March 23, the unlocked Honor View 10 is up for pre-order now, available in blue or black for $499. It comes with a clear silicone case, as well as Huawei’s AM116 3.5mm headphones — a $19.99 value. $499 is quite a leap up from the company’s more budget-minded Honor 7X, but the View 10 is Honor’s flagship model, with beefy specs including 6GB of RAM, 128GB of storage, and Huawei’s most powerful Kirin 970 chipset. 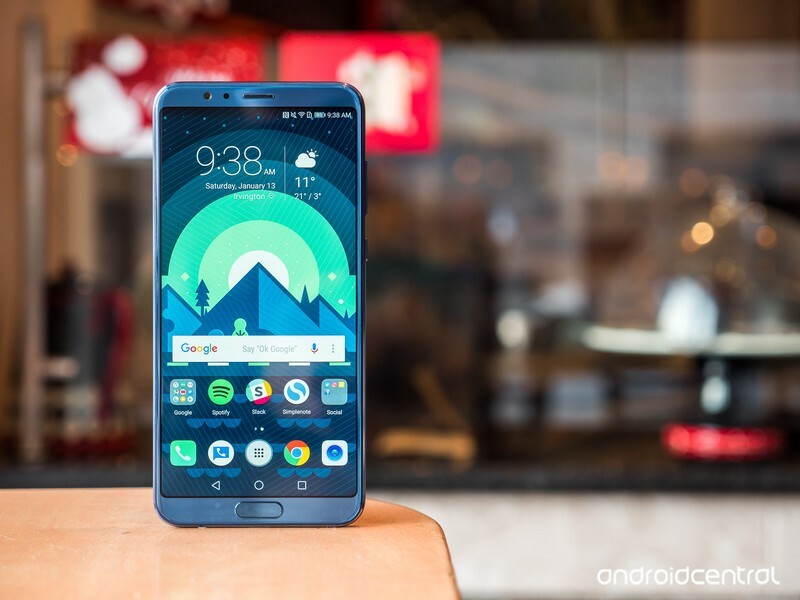 It features the same Neural Processing Unit (NPU) found on the more expensive Huawei Mate 10 Pro, and an impressive dual camera module that stacks up well against similarly priced phones like the OnePlus 5T.